Our audit approach is based on a thorough understanding of our clients’ businesses and is risk-driven. it is specifically tailored to identify and address significant risks that might have material impact on the financial statement. We examine your key business processes, evaluate controls, and perform substantive test to get an understanding of your relevant issues. The planning stage is a crucial part of the engagement, it involves preliminary judgement of materiality, understanding of business environment, operations and internal controls. It involves development of a bespoke audit approach to meet your organizational need. This stage involves consideration of risk environment. It involves an assessment of inherent risks both at financial statement and at account balance levels. We will carry out a detailed risk assessment of the organization’s business activities, evaluate the internal control structure and work with your financial team to ensure that the audit effort considers the risk environment. Robust internal controls are the key to a more stable organization. 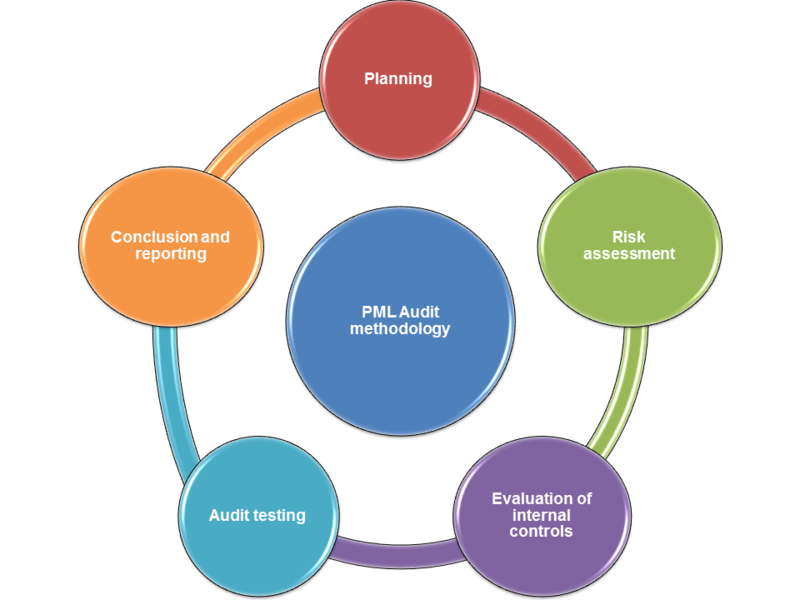 This stage involves evaluation of internal control and assessment of control risk. At this stage we will evaluate the design and implementation of your controls and carry out test of and operation effectiveness of the controls. This will inform the extent of substantive work to be done. At this stage, based on our understanding of your transactions and the effectiveness of your controls, we will implore the substantive procedures that is appropriate to obtain sufficient audit evidence. We expect to perform many of our audit procedures on a preliminary basis. By performing many of our audit procedures before year-end, there is less strain on your accounting staff during the fiscal year-end. In order to ensure that our final audit is of the highest quality, the files and reports will pass through several reviews, many of which will be performed in the field. Upon completion of our reviews, we will meet with you before the financial statements are finalized to discuss the results of the audit process. We will provide a management letter, which includes internal control weaknesses noted during the audit and our recommendations for improving your operations. We will also provide information regarding any new accounting pronouncements, tax issues and other issues that impact your organization. We will work with you to understand the impact to your organization and to provide you meaningful implementation advice. We will be available throughout the year to answer any questions that may arise.